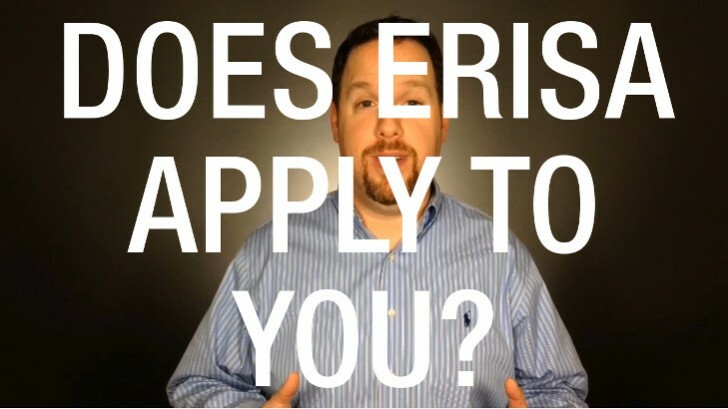 from in-depth webinars to actionable videos and more! Since 2012, DOL audits resulted in more than $6 billion for corrective action. 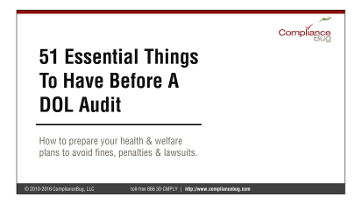 This guide covers 51 Essential Things to Have Before a DOL Audit. 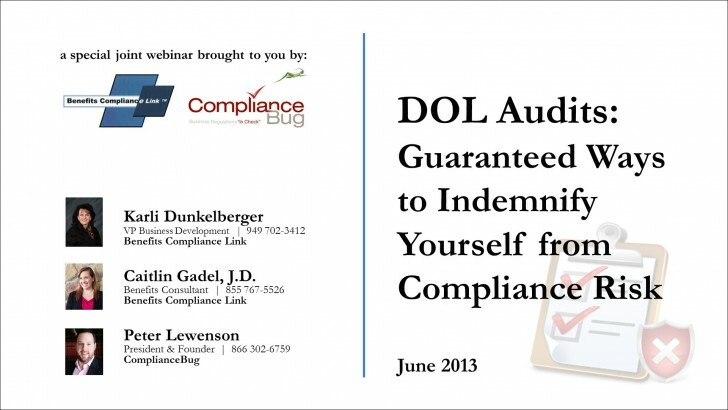 This webinar shows employers the steps they should take to protect themselves from compliance risk. 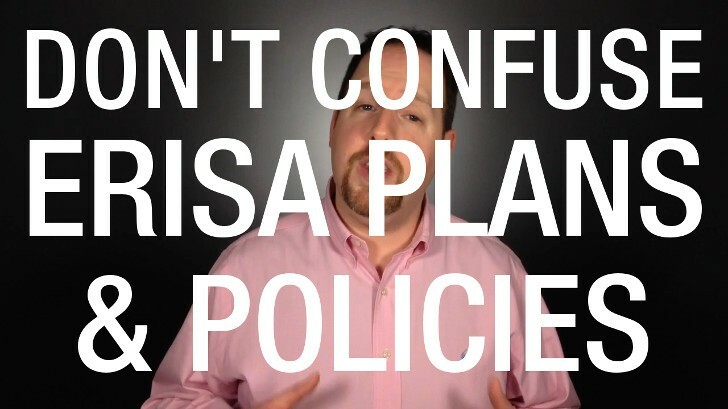 The recording covers recent topics from ERISA, COBRA, HIPAA and Healthcare Reform – PPACA.